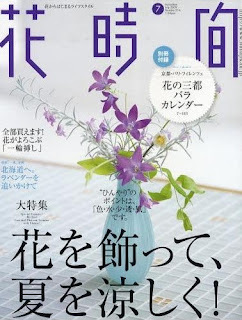 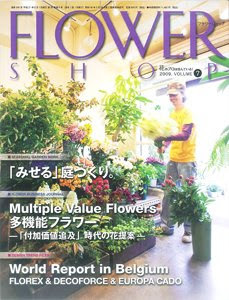 Our business in United States have introduced by famous Japanese flower magazine so called 'Flower Shop' issued on June 1st 2009. 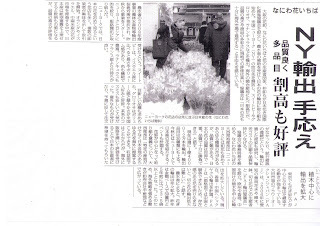 This article introduced our business in USA and also included comments by grower of 'Cryspy Wave, a special wavy Asplenium leaf and Ministry officer at Ministory of Agriculture, Forestry and Fishries about our USA export projects. 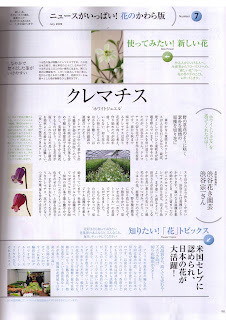 Our business activities in United States have introduced by famous japanese flower magazin so called 'Hanajikan' issued on June 1st 2009. 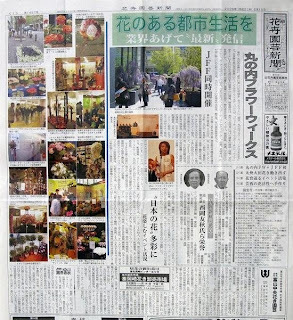 Our project in New York togetether with Naniwa Flower Auction, the largest flower auction in western Japan (and 2nd largest cut flower auctin in Asia) have introduced by The Japan Agriculture Newspaper (Nihon Nogyo Shinbun). 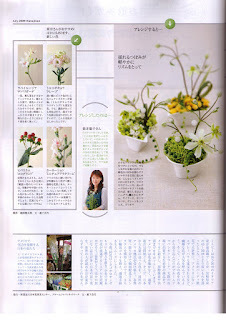 Our service for Sicilian Growers Association at Marunouchi Flower Weeks 2009/Japan Flower Festival 2009 in Tokyo have introduced on top article of 'The Kaki Engei Shinbun' newspaer.We support Sicilian Growers Association to promote their unique products in Japan at Marunouchi Flower Weeks / Japan Flower Festival 2009 and we got many inquiry for their unique items which grown in Sicily.